The objective of this project was to develop a comprehensive, interactive winter operations training program that would include segments on RWIS, anti-icing, de-icing chemicals, etc. This was accomplished through coordination between Aurora and the American Association of State Highway and Transportation Officials (AASHTO). Aurora’s role in this effort was to develop an RFP and assist AASHTO in the contractor selection process. This was accomplished in early 2001. Since that time, numerous state DOT’s, APWA, NACE, three Canadian provinces, one Canadian city, and the Ontario Good Roads Association have participated in the development of the training. The program was completed and distributed on May 1, 2003. As the CBT was utilized in states and provinces, many improvements were suggested. Also, as new snow and ice control research was completed, the CBT was recognized as an effective way to provide the technology transfer to get that research implemented in field operations. A second version of the AI/RWIS CBT was prepared and distributed in 2007. The CBT has received awards in both national and international training methods competitions.The objective of this project was to develop a comprehensive, interactive winter operations training program that would include segments on RWIS, anti-icing, de-icing chemicals, etc. 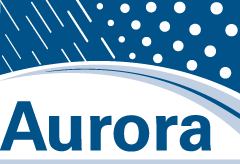 This was accomplished through coordination between Aurora and the American Association of State Highway and Transportation Officials (AASHTO). Aurora’s role in this effort was to develop an RFP and assist AASHTO in the contractor selection process. This was accomplished in early 2001. Since that time, numerous state DOT’s, APWA, NACE, three Canadian provinces, one Canadian city, and the Ontario Good Roads Association have participated in the development of the training. The program was completed and distributed on May 1, 2003. As the CBT was utilized in states and provinces, many improvements were suggested. Also, as new snow and ice control research was completed, the CBT was recognized as an effective way to provide the technology transfer to get that research implemented in field operations. A second version of the AI/RWIS CBT was prepared and distributed in 2007. The CBT has received awards in both national and international training methods competitions.